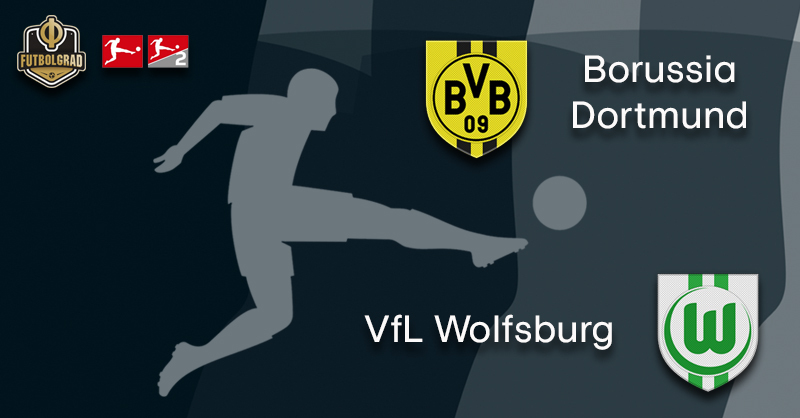 Borussia Dortmund’s title challenge is back underway on Saturday when the Black and Yellows host Wolfsburg. Dortmund lost first-place in the Bundesliga on matchday 25 thanks to Bayern’s better goal differential. Seven goals are all that separate Germany’s two biggest clubs at the top of the table. But given that Dortmund had a seven-point gap in February it is still somewhat of a disappointing position to be in for the Black and Yellow camp. A position that is mostly due to Dortmund’s defensive problems. Dortmund have conceded 14 goals in the last eight games, and the number of goals conceded have been a thorn in head coach Lucien Favre’s side. “Too many unnecessary goals,” and “too many mistakes,” on top of that “turnovers in dangerous areas,” have been the main problems according to Favre. “We can’t always score three goals,” Favre added. Against Hertha, on matchday 26 Dortmund did exactly that and secured three points at the last minute to stay in the title race — a title race that Dortmund want to win. “We have to show the will that we want to win this thing on the field,” Favre added. The head coach also knows that it is defence and not attack that ultimately wins the title. 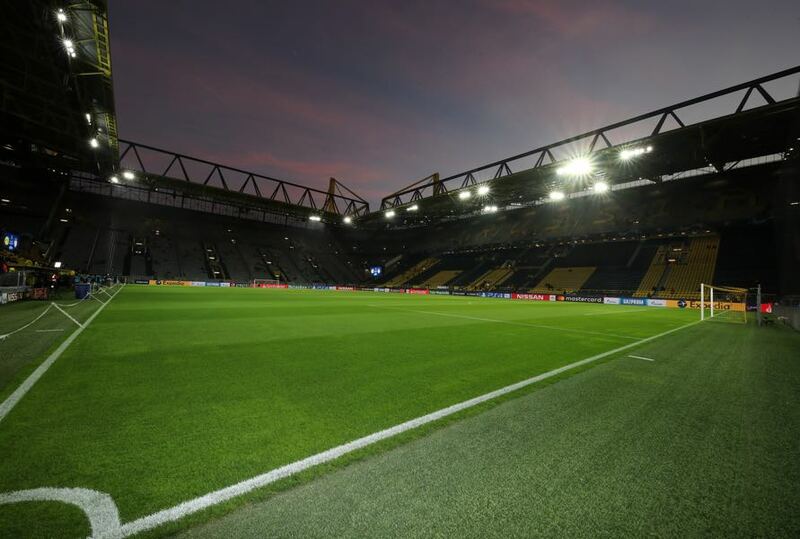 Hence, against Wolfsburg, Dortmund will try to keep the shop closed, thankfully the likes of Manuel Akanji, Dan-Axel Zagadou, Abdou Diallo and the immensely important Axel Witsel are all fit ahead of the clash on Saturday. Meanwhile, in Wolfsburg, the focus has been on off-field activities. Bruno Labbadia has already announced that he will leave the club at the end of the season despite guiding the club from the relegation zone to the European places — he could be replaced by RB Salzburg head coach Marco Rose. Furthermore, captain Joshua Guilavogui has been linked with a move to Benfica, and goalkeeper Koen Casteels is still contemplating his future. As for Saturday? Seventh-placed Wolfsburg want to secure a top-six spot at the end of the season and qualify for a UEFA competition. It would be Labbadia’s parting gift and would make it easier for sporting director Jörg Schmadtke to secure potential transfer targets. At the same time, Dortmund will be a difficult opponent and with the likes of Witsel and Mario Götze returning to the squad will be favourites to win the game. Axel Witsel will be well rested when Dortmund face Wolfsburg on Saturday. The Belgian midfielder missed Belgium’s national team games against Russia and Cyprus after suffering a muscular-injury on March 9 in the game against Stuttgart. Although the injury meant that Witsel missed the Bundesliga game against Hertha it also allowed the 30-year-old to recharge his batteries ahead of the title fight. Cells that needed to be revived as his form after all has dipped a bit in recent weeks. Witsel’s won-duel percentage had dropped from 62.9% to 57.7% according to the German magazine kicker. But the midfielder has played the most minutes of any field-player in the Dortmund squad this season (2984) and “a drop of form over the entire season is natural,” as sporting director Michael Zorc explained. 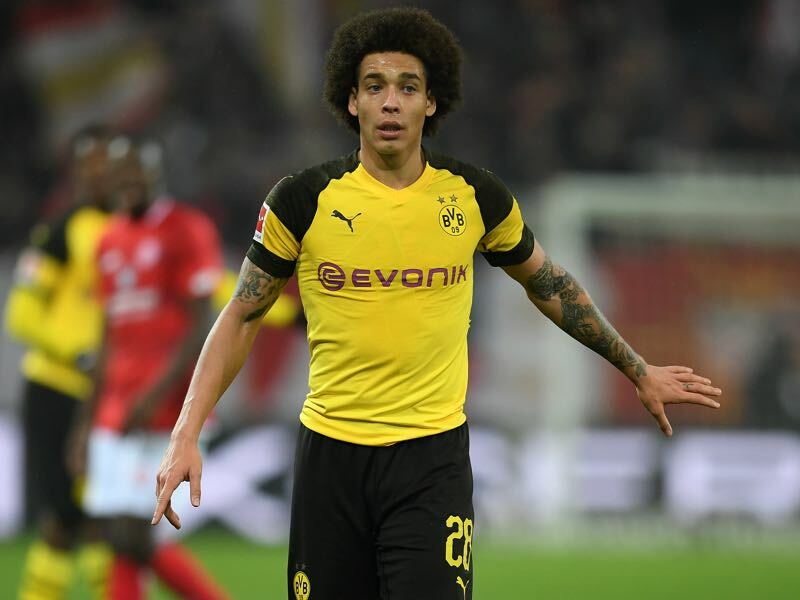 Witsel, however, is the heart of Dortmund’s game and the club hope that the rest will have rejuvenated him ahead of what will be a difficult title challenge. Wout Weghorst has been sensational for Wolfsburg this season. The Dutch striker has scored 12 goals and five assists in 26 Bundesliga games for the Wolves. At the same time, the numbers were not impressive enough for Ronald Koeman to call the striker up for the two national team games against Belarus and Germany. 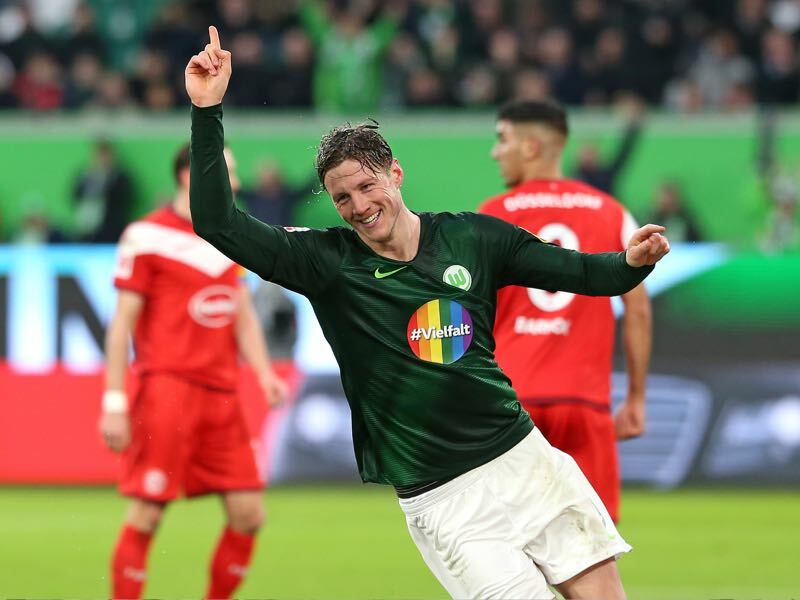 But Weghorst has scored six goals in nine games in the Rückrunde, including three goals and two assists in Wolfsburg’s 5-2 win over Fortuna Düsseldorf. Hence, it will only be a matter of time for Weghorst to exchange the neon-green Wolfsburg shirt for a neon-orange Oranje jersey. Dortmund have scored seven goals in injury-time, no other team managed more than five. Only Paco Alcacer and Sebastien Haller (Frankfurt) managed to score three goals after the 90′ minute. Dortmund’s record against Wolfsburg: W13 D5 L3.